Extracting oil sands through hydraulic fracturing, or fracking​, from deep beneath the earth is a labor and equipment intensive operation. According to a Forbes Magazine article, there are actually four supply chains needed to run a successful operation and maintain proper inventory control. Removing the oil from the shale creates new supply chain headaches because the degradation of the wells is much quicker than traditional oil and gas operations. Extra material is required to access the oil and gas, the shale fields are much larger than oil and gas fields and there's a shortage of pipelines to cover the middle of the supply chain. A second Forbes story by Steve Banker detailed how difficult the fracking procedure really is. Because operations are so vast, the story said, the multiple supply chains are vital to the success of the entire operation. The first supply chain is the one associated with constructing the necessary rigs and site infrastructure where the actual exploration and drilling takes place. This project supply chain allows necessary equipment and other goods to enter the job site. Then railways can be constructed to ship oil and gas out to the fracking site on its way for processing and distribution. The next supply chain, the inbound chain brings everything needed for the drilling operation to run. Drilling mud and casings, lubricants, water and drills all come in on the inbound chain. In the fracking operations, sand and necessary chemicals also make their way into the site via this chain. Deploying a mobile data collection system on this chain will ensure smooth and continuous operation and keep a detailed costs assessment as the project progresses. Actually putting the oil and gas produced through the fracking process and into shipping is included in the outbound supply chain. Because previous infrastructure had failed or was neglected, new pipelines are being constructed to transport the newly removed product from the oil fields to their next stop. Rails are also being renovated or built anew to move the oil from field to refinery. The remote worker chain carries employees out to the often remote drilling sites, generally by small plane. The teams work two-week shifts before leaving, and they have to be provided with food, water and other life necessities, almost like an off-shore drilling platform. Field service software is vital to the operation of this chain as without these necessities work eventually will wind down at the sites. 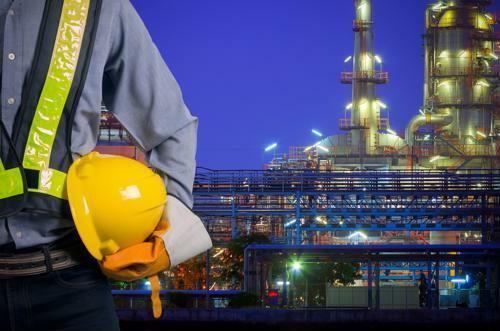 Lastly, and some executives argue most importantly, the emergency supply chain has a number of resources companies have to employ to maintain safety standards for all workers. Local, municipal and federal government regulations abound in an oil sands operation, and companies also must have measures in place to extinguish fires, blowouts and mitigate environmental disasters. These are the upstream oil supply chains that play such an integral part in today's modern oil sands operations both in the U.S. and in western Canada. Without them it would be a lot more difficult to exploit the new technologies being used in such far-off places.